Coming in for professional teeth cleaning every six months is one of the most important steps you can take to preserve your dental health. Dr. Greg Larsen offers thorough teeth cleaning as part of your comprehensive dental examination and preventive care. You’ll love the way your teeth feel after he removes all traces of plaque and tartar. To schedule your next routine dental exam and teeth cleaning, call Dr. Larsen at the Sandy, Utah office today. Why is professional teeth cleaning so important? Your mouth is filled with more than 500 different species of bacteria at any given time. Some of those bacteria are helpful, while others are harmful. If allowed to remain in your mouth for too long, bacteria can settle onto the surface of your teeth, forming dental plaque. 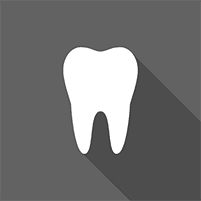 Plaque is a colorless film that sticks to your tooth enamel. When it builds up against your gum line, your gum tissue begins to pull away from the surface of your teeth. That creates little pockets where even more bacteria can accumulate and multiply. Accumulated bacteria leads to gum disease, and when your gums are inflamed, they serve as an entry point into your bloodstream. For some people, that creates an elevated risk of severe infection. Researchers have proven the link between oral health and overall health. Aside from the obvious benefit of avoiding dental decay, a healthy mouth can also translate into a healthy life. For many, coming in for a routine dental exam and teeth cleaning is a pleasant experience. Depending on your specific needs, your exam might include X-ray imaging or just a visual inspection of your teeth and gum tissue. If there are any signs of decay or gum disease, Dr. Larsen advises you on the available treatment options. During the cleaning, Dr. Larsen or his board-certified dental hygienist uses a metal instrument called a scaler to manually scrape hardened plaque, or tartar, from your teeth. An ultrasonic vibrating dental device can also help remove plaque and tartar. Next, the hygienist uses a specialized abrasive toothpaste to polish your teeth before thoroughly flossing them. Your teeth will feel smooth and completely clean, one of the most significant benefits of a professional cleaning. How can I prepare for my teeth cleaning? The best way to enjoy your next dental exam and teeth cleaning is by taking good care of your teeth between office visits. Remove plaque by brushing twice a day, and be sure to floss often. It's also helpful to provide Dr. Larsen with an overview of any health issues or concerns you may have. This includes a full list of prescription medications you require as well as any history of severe health problems. If it’s been a while since your last dental exam and teeth cleaning, schedule an appointment with Dr. Larsen at your earliest convenience.